Professor Geraint Rees FMedSci is Dean of the UCL Faculty of Life Sciences. He is a member of the Francis Crick Institute Executive Team and the Board of Directors of Imanova. From 2009-2014 he was Deputy Head of the Faculty of Brain Sciences at UCL and Director of the UCL Institute of Cognitive Neuroscience, a leading institute for studying mental processes in the human brain. His Wellcome-Trust funded research seeks to understand the neural basis of consciousness, and has resulted in over 200 research publications including sixteen empirical papers in Science or Nature journals. His work has been (ISI) cited over 9,400 times and he has an h-index of 50. His work has elucidated the importance of frontal and parietal cortex in determining the contents of consciousness; discovered the involvement of the lateral geniculate nucleus in conscious perception; discovered the importance of attentional load in determining neural activity associated with conscious and unconscious visual perception; characterised the pervasive role of unconscious processing in the ventral visual pathway; and elucidated the importance of inter-individual variability in brain structure and function in determining how people perceive their world. Recently he has pioneered new approaches to analysing functional brain images to individuate the contents of consciousness, and has written and spoken on the potential moral and ethical implications of such techniques. Geraint has been awarded the Royal Society Francis Crick Medal, the Experimental Psychology Prize and the Young Investigator Medal of the Organisation for Human Brain Mapping. His work is widely covered in the print and broadcast media and he contributes actively to public policy and engagement with brain imaging technologies. In 2010 he was elected a Fellow of the Academy of Medical Sciences. Geraint is passionately committed to developing clinical academic training in the UK. 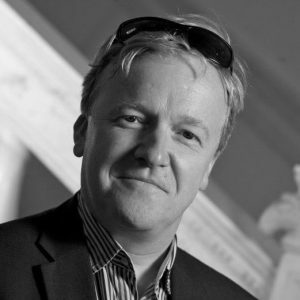 Between 2010 and 2012 as a member of the MMC Programme Board for England he led on the creation and delivery of nationally coordinated electronic offers systems for recruiting ~20,000 junior doctors in England, and helped identify the significant difficulties in UK psychiatry recruitment and rectifying the situation with the Royal College of Psychiatrists and Academy of Medical Sciences. At UCL he set up and directs the cross-Faculty Academic Careers Office which seeks to promote, support and develop all aspects of academic and clinical academic careers in the School of Life and Medical Sciences (SLMS) and the UCL/UCLH NIHR Biomedical Research Centre and Biomedical Research Unit at UCL. The ACO now manages one of the largest NIHR Academic Clinical Fellow and Clinical Lecturer cohorts in England and Wales at UCL. Geraint also co-directs the Wellcome Trust Clinical PhD Programme at UCL and the EPSRC Medical Imaging Centre for Doctoral Training.